Hotel Mayur is a 1 star economy hotel in Mussoorie providing a comfortable place to stay in Mussoorie. The hotel offers all basic facilities in its well appointed rooms and each room provides a panoramic view of the white mountains through their windows. Located centrally on the Mall Road, this hotel has easy access to all attractive tourist spots in Mussoorie . 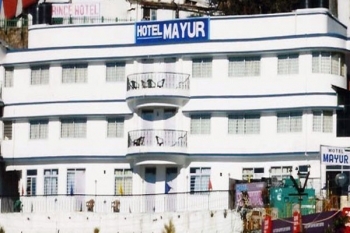 Hotel Mayur is conveniently located near the Library chowk on the Mall road, Mussoorie. Famous Mall Road is at few steps walking from the hotel. Nearest railway station is at 32 kms in Dehradun and the Jolly Grant Airport is at 50 kms away from Mayur. 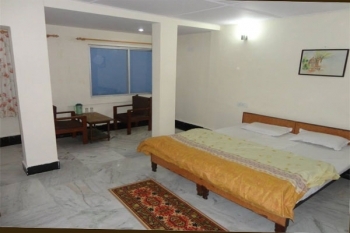 Hotel Mayur offers 19 well appointed rooms attached with basic facilites and amenities such as private bathroom, telephone, room service and laundry. Accomodation available in hotel includes executive double room, deluxe double room, triple bed room and four bed room.